We can't talk about the new 2019 Infiniti QX50 without first talking about its engine. Stricter regulations on emissions and fuel economy are changing the automotive landscape. As more laws are enacted worldwide, production of internal combustion engines is looking less appealing. 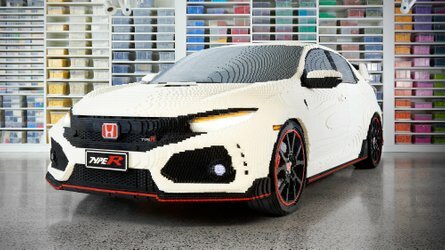 This has automakers such as Mercedes-Benz, Ford, and even Aston Martin all announcing their commitment to future electric or hybrid lineups. Infiniti, however, believes it has extended the life of the dinosaur-powered engine with a technology its engineers have been toiling over for two decades: variable-compression. Infiniti's new variable compression turbocharged engine (VC-Turbo) works by changing the engine from high-compression (14:1) to low-compression (8:1) depending on a driver's inputs. High compression for efficiency, low compression for performance. Even with the Infiniti's sporty suspension tuning, the ride quality remains excellent over bumpy roads. 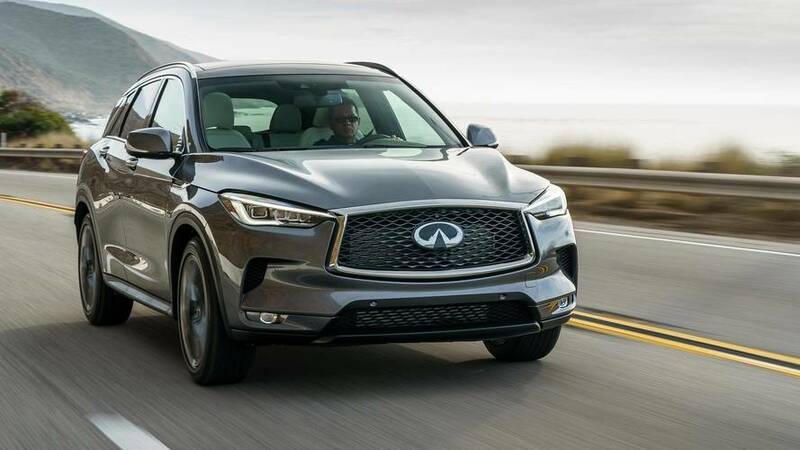 According to Infiniti, it's the complete package, as it offers the QX50 a sporty disposition (268 horsepower and 280 pound-feet of torque from the 2.0-liter turbocharged four-cylinder engine), and slightly better-than-average fuel economy (27 mpg combined) for an SUV. But how does the engine feel when driving on the road? Our first thought: interesting. Quietly moving along the Pacific Coast Highway, you immediately know that something is different. With a moderate amount of throttle pressure, something akin to pulling away from a stop sign, it feels like a turbocharged engine of old, lazily spooling up. 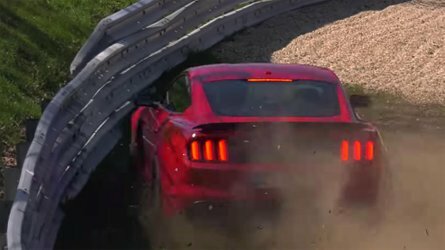 But the expected hit of turbocharged torque never comes. Instead, the QX50's high-compression setting pootles along in a more gradual manner. Engaging the VC-Turbo's more high-performance character only requires pushing your right foot further toward the floor. The engine immediately jumps to life as a harmonic drive inside operates a control shaft and actuator arm, changing the stroke of the piston from high to low. It feels more akin to a hybrid power plant or staggered twin-turbocharged setup, with power building immediately. 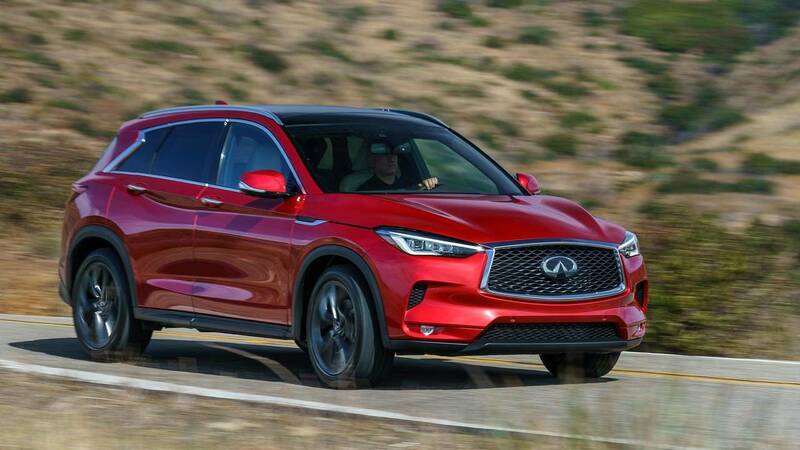 Combined with the QX50's impeccable continuously variable transmission, the new all-wheel-drive system (60/40 front/rear torque split) and a lightened chassis (down 200 pounds from the outgoing model), the new Infiniti gets up and goes with the speed reminiscent of a Volkswagen Golf GTI. The QX50's handling is also better than any SUV has a right to be. In the mountains above Malibu, the QX50 feels light and tossable, with a dose of fun that’s become the new norm in luxury SUVs like the Jaguar F-Pace and Porsche Macan. Yet, even with the Infiniti's sporty suspension tuning, the ride quality remains excellent over bumpy roads. 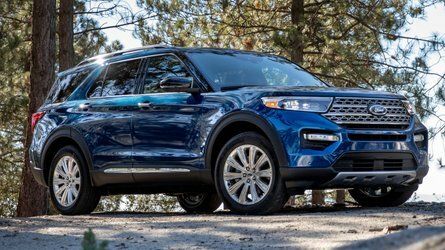 As for the rest of the all-new QX50, it brings a unique style and class to the segment. 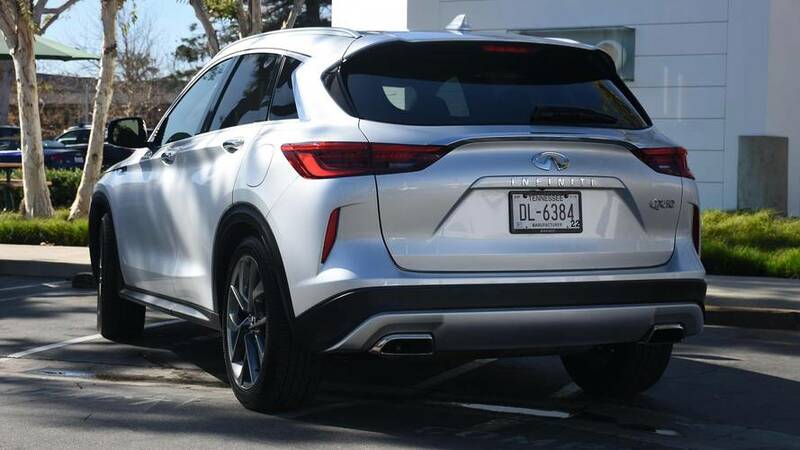 With much of modern SUV design dominated by sharp, angular lines, Infiniti's decision to incorporate rounded exterior features should be applauded. 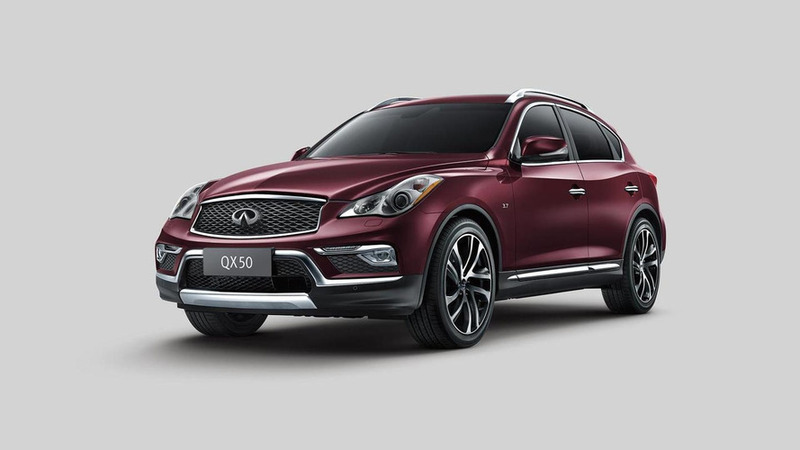 From front to back, Infiniti's new design gives the QX50 an athletic and striking shape. The hood, however, should be singled out as it's one of the SUV's best design elements. Stamped from a single piece of aluminum, the hood rolls over the front fenders and gives an appearance not too dissimilar from a Jaguar F-Type’s nose. No matter your height, you'll be comfortable sitting either behind the wheel or behind the driver. Inside, it's clear that Infiniti is after a much more affluent clientele. 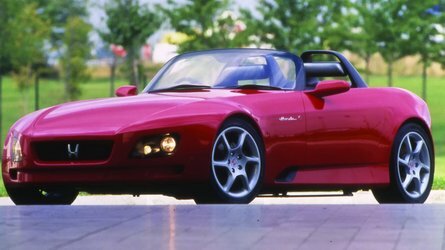 Some older models shared too much in common with Infiniti’s mainstream corporate sibling, Nissan, with cheap plastic and scratchy touch points. The 2019 QX50 removes all traces of those corporate DNA strands. 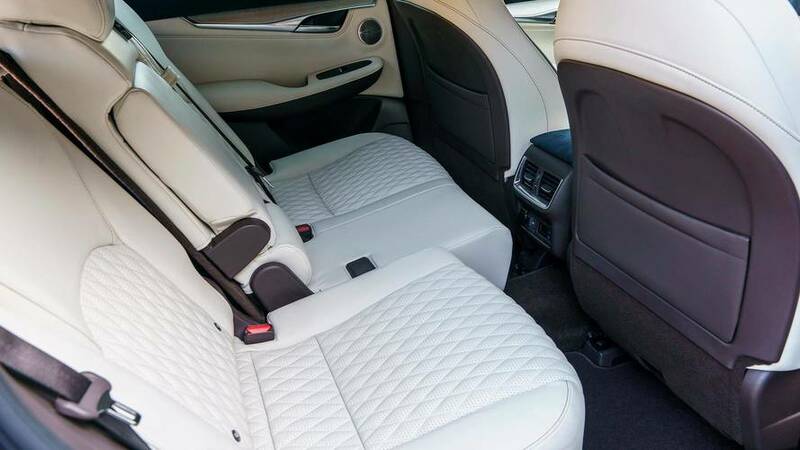 The QX50's interior is swathed in delicate wood trim, copious amounts of luxurious leather and faux-suede, brushed aluminum bezels, and soft-to-the-touch plastics that give it a quality on par with Audi or Mercedes-Benz. The cabin is also cavernous. Because the engine is smaller than the old model’s V6, Infiniti was able to increase overall cabin space. Where this is immediately felt is in head- and legroom. No matter your height (the author is 6 feet, 4 inches tall), you'll be comfortable sitting either behind the wheel or behind the driver. Adding to this comfort are the now-standard NASA-inspired zero-gravity seats; trust us when we say your posterior won't ever tire. Given the company's desire for a wealthier customer base, Infiniti's engineers also made the interior as quiet as the grave. 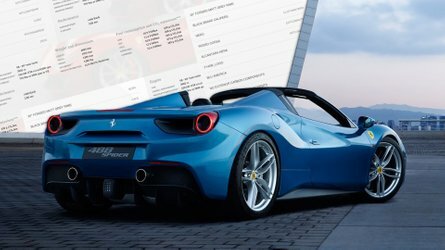 Acoustic glass, active engine mounts to reduce vibration, and higher levels of insulation all make for a Germanic experience. However, when you want things to bump, the newly introduced 17-speaker Bose Performance Series audio system has the capability of loosening fillings and shaking cars beside you. The system's clarity is worthy of much more than its $900 price tag. 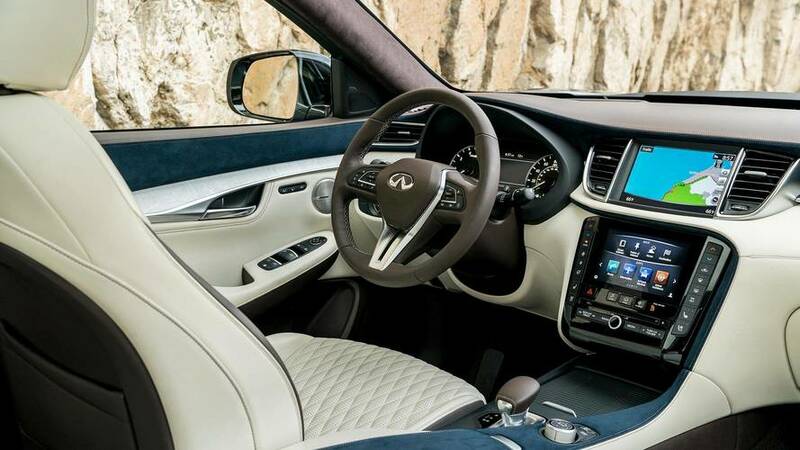 The only issue we had with the QX50's interior is the infotainment system. 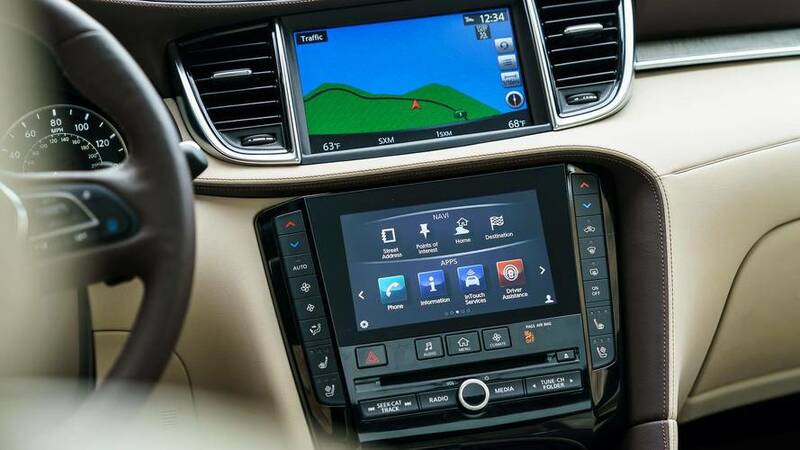 Split into two screens, the infotainment stack is the only carry-over from the previous model. To any iPhone and Android user, the displays look ancient. 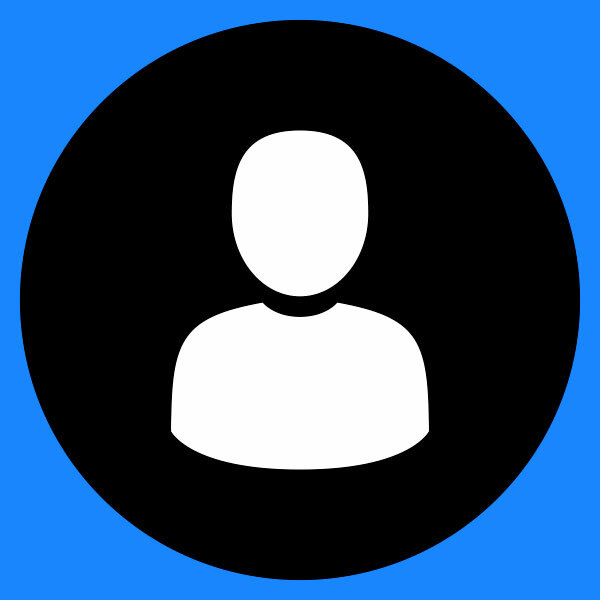 Additionally, the user interface lacks the clear and concise mechanisms that newer user interfaces provide. To make matters worse, Apple CarPlay and Android Auto are unavailable. Although, when pressed, one of Infiniti's engineers hinted that both features are on the horizon. Beside its infotainment system, the QX50 isn't behind on its technological offerings. Check the right box on the Infiniti's order form and customers can have ProPilot Assist. We're still years away from fully autonomous vehicles, but Infiniti's ProPilot Assist wades into the waters of semi-autonomous driver assistance technologies. 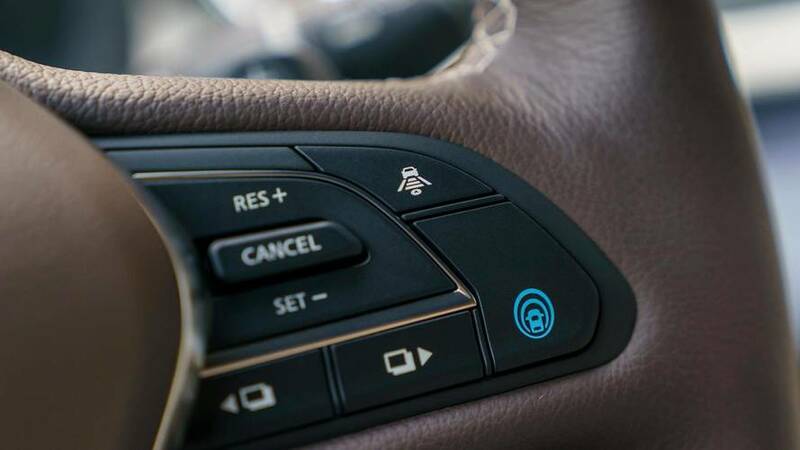 At its core, ProPilot Assist is an adaptive cruise control meant solely for highway use. In addition to the radar-guided cruise functions, sensors and cameras along the side of the car register lane demarcations and, with the help of Infiniti's fly-by-wire Direct Adaptive Steering unit, assist in guiding the car's front wheels; your hands must still be firmly on the steering wheel. It must be stressed that Infiniti's ProPilot Assist is purely to help alleviate some of the stresses of long-distance, or traffic-laden commuter driving. It isn't a semi-autonomous system like Mercedes-Benz, Tesla, and Cadillac offer, but rather a first step toward autonomy for both Infiniti and parent company Nissan. As for its functionality, the ProPilot Assist system is quite easy to work, necessitating only a push of two buttons on the steering wheel: One to activate and the other to set your speed. While Infiniti's fit-and-finish have moved upscale, its pricing hasn't. The new 2019 QX50 starts at a more-than-reasonable $36,550 for a front-wheel-drive unit.With every box checked, however, the QX50 tops out at $58,100. Yet, even when fully loaded, the QX50 represents a bargain among its luxury SUV competitors; the Audi Q5, BMW X3, Mercedes-Benz GLC, and Lexus NX all have starting prices nearly $5,000 higher. 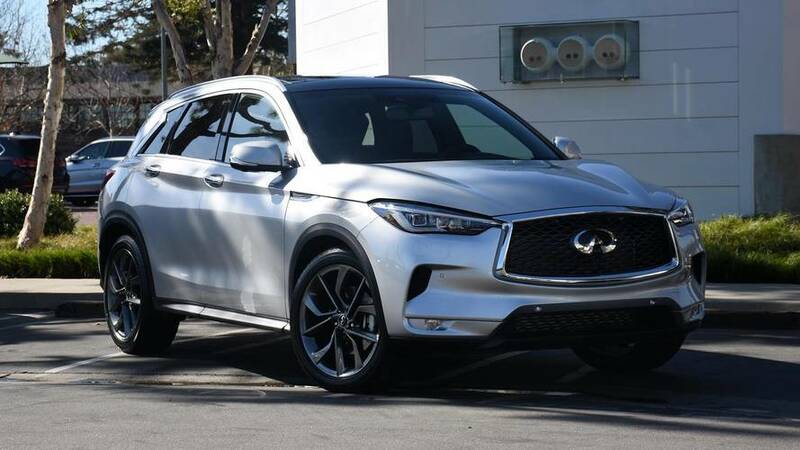 Although the compact luxury SUV segment is one of the hottest markets in the automotive industry, the 2019 Infiniti QX50 is poised to become a heavy-hitting player in the coming years. It’s not only great to look at, but also fun to drive in both commuting and canyon-carving conditions, and features an interior worthy of its luxury status.